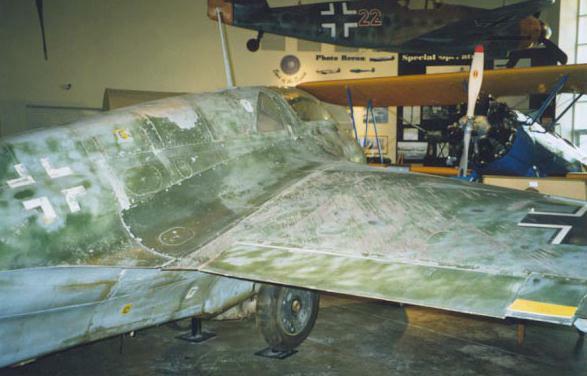 Detail view of the right wing and fuselage, again showing the extreme weathering. The diagonal scratches are remarkebly similar to those of the left wing. The paint on the wing appears to be more weathered than that of the left wing.